When Barb is happy, Bob is happy! 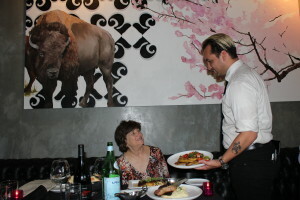 A fine Charlotte restaurant, serving up interesting and tasty cuisine! The sauce and everything about this seafood melange’ was exceptionally tasty! Late afternoon delight! Trying out a new restaurant in Charlotte, N.C. It passed out critique with a big margin! 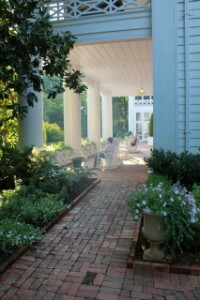 Peace and quiet and a terrific breakfast at the Duke Mansion in Charlotte, North, Carolina! 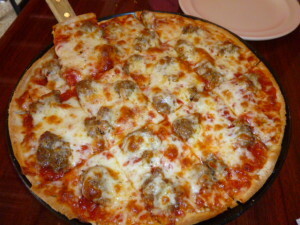 Chicago Pizza In Stuart, Florida; Close Your Eyes, Take a Bite and You Could Dream Your Back in Chicago! 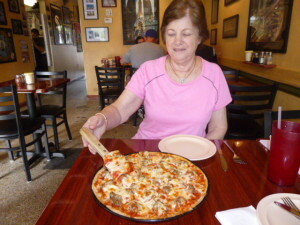 Barb is digging in to a real Chicago sausage pizza! Mama Mia, it was the real thing, the cheese; multi bella, the sausage, perfecto, the sauce, the crisp edged crust, could stop eating this special made for everyone who visits Pusateri’s. 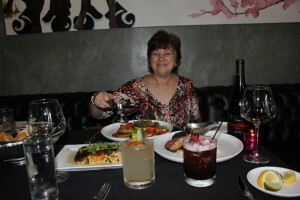 APtravelnews-Bob and Barb, 12/10,-Stuart, FL.- At Pusateri’s Chicago Pizza–Coming to the table right now is a Chicago Beef Sandwich, a pure beef Chicago Vienna Hot Dog done up with pickle, peppers, bright yellow mustard, tomato, sport peppers, fresh chopped onion, the famous “Bright Green Relish” and a dash of Celery Salt. My mouth had a party! We also dug into a real Chicago Pizza. A view from the tower towards Pickwick Lake. 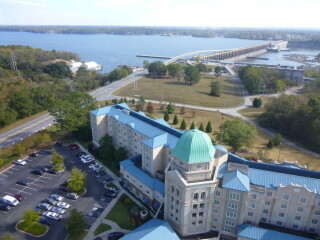 This Marriott Hotel was excellent in every way! APtravelnews-October 23rd—Florence, AL. and Lauderdale, County is quite progressively moving forward with offering locals and visitors some of the best historical, modern as well as iconic music entertainment and even spiritual attractions, excellent restaurants and accommodations that AL. has to offer. Barb and I, thanks to the very professional, yet extremely friendly, Georgia Carter Turner from Florence and Lauderdale Tourism Development Council, brought us in to familiarize us with many opportunities that all visitors can take advantage of as well. 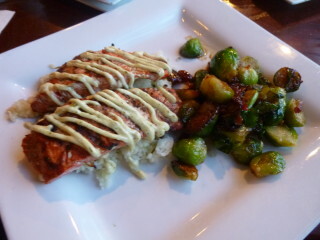 Salmon and sauteed Brussel,Sprouts at Swamper’s Restaurant in the lobby area of the Marriott! 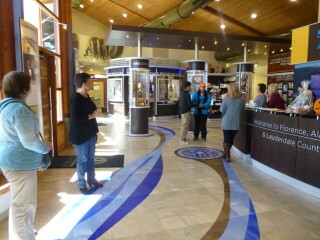 Welcome Center new and special for Florence, Lauderdale and every visitor! Steak and fried green tomatoes. Even Pres. Bushes favorite vegetable (not) Broccoli! Dat’s a meal! After a wash-up, we headed for lunch and ice cream at Trowbridge’s on Main Street in Florence. The diminutive place is an iconic, very reasonably priced lunch spot with ice cream to cry for “more. Along with the lively crowd, we enjoyed sharing this long-time fun-spot that felt like a throw-back to the 50’s. Pimento Cheese sandwiches were long time favorites, and I had a Butter Pecan Milk Shake that I can’t wait to taste again-WOW! www.yelp.com No there was more to come: Stay tuned for our dinner at Ricatoni’s Italian Grill and later; Arx Mortis Haunted attraction, back door tour. It was so spooky and really scary! 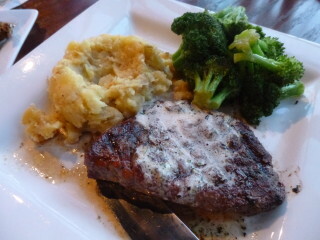 Note: See lots more in next posts about our whirlwind adventures in Florence and Muscle Shoals, AL. Check out their website at: www.visitflorenceal.com We’re Going back for sure! Our fishing guide, Lance Walker knows where they live (a nine-pounder) and he knows how to knock on their door! 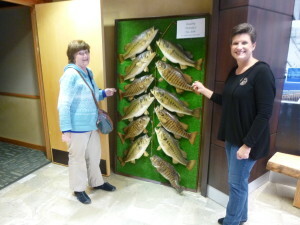 The display at the welcome Center shows various types of bass that are found in the TN. 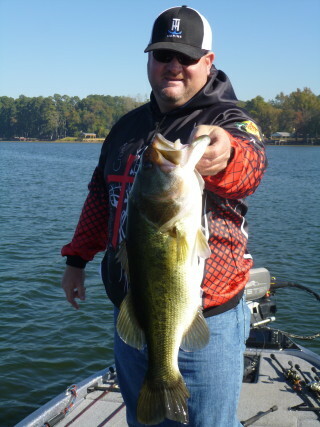 and Lake Pickwick. Hunting Season Coincides With Pumpkin Harvest Too! 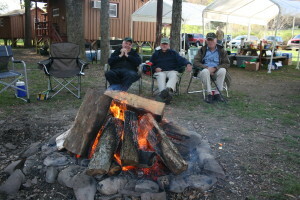 Deer camp! Yes, its cold outside. My October week in the Catskills. These hunters are waiting for their venison dinner! APtravelnews-Goose Holler Farm- October 3rd– This piece is written by Michaelean Pike. If you do things like leave your house or hop on the Internet, you’ve probably noticed that pretty much anything can be made better with the addition of a little “pumpkin spice” flavoring. Pumpkin spice has become the epitome of fall flavors. The Pumpkin Spice latte from Starbucks (otherwise known as Product Zero in the pumpkin spice craze) blends “notes of pumpkin, cinnamon, nutmeg and clove,” according to the Starbucks website. It also has its own Twitter feed, making this drink more adept at social media than I am. And it’s such a critical part of American cultural identity that when Hillary Clinton recently confessed that she no longer drinks Pumpkin Spice lattes because she “saw how many calories are in them,” her “anti-pumpkin-spice stance”made national headlines. But at the heart of the Pumpkin Spice latte is the humble pumpkin. This North American native is full of enough Vitamin A, beta-carotene, fiber and Vitamin C to make Dr. Oz’s heart go pitter-patter. And while most of us consume pumpkin only in pie form, pumpkin becomes main-course worthy when paired with another fall harvest staple: venison. So embrace the pumpkin spice craze this year by serving up one of these autumnal dishes. This recipe from Field & Stream certainly answers the call for pumpkin “spice.” Habanero chile and some curry powder take the flavors up a notch, while a lengthy cooking time makes for more tender venison. Get the recipe here. My husband will readily tell you that I am no gourmet cook. That’s why I like recipes that sound fancy but aren’t all that difficult. 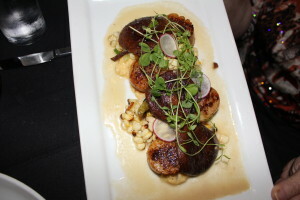 This beautiful dish from Meredith Steele at In Sock Monkey Slippers fits the bill. It may take some time, but the results are worth the effort you put into bagging your entrée. Get the recipe here. Why just cook venison and pumpkin together when you can cook venison and pumpkin together in a pumpkin? Plus, if you use a pumpkin as your cooking vessel, that’s one less dish you have to wash. This stew from The Post-Standard’sJim Commentucci uses apple-cider-marinated venison, sausage and pumpkin sautéed in butter and maple syrup to perfectly capture the flavors of autumn. This is the kind of dish you prepare when your mother-in-law is coming over and you want her to forget that time you tried to make biscuits from scratch and instead just set your oven on fire. Oh, wait – I think that’s just me. Get the recipe here. Like the Pumpkin Spice latte, this dish from Edible Green Mountains features cinnamon and cloves, with a dash of allspice. Unlike the coffee drink, however, it includes venison, making it 1,000 times more awesome. Topped with plain yogurt and roasted pumpkin seeds, this stew is the perfect way to take the edge off a chilly fall night. Get the recipehere. What could possibly make pumpkin and venison better? What about, oh, I don’t know…bacon? In this recipe from The Hunting Widow’s Guide To Great Venison Cooking, venison is stuffed with pumpkin mashed with butter and cream and then wrapped in bacon. I think that pretty much covers all the important food groups. 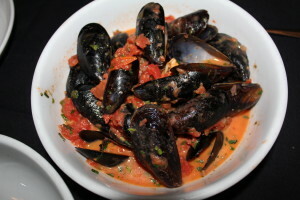 (Like this recipe? Check out The Hunting Widow’s Guide to Great Venison Cooking cookbook.) Get the recipe here.